The word trout refers to several species of fish belonging to the Salmonidae family. Most live exclusively in freshwater, but some species spend their adult lives in the sea and swim upstream to spawn like salmon. The name comes from the Greek trôktês, meaning “voracious,” and it refers to the huge appetite of this carnivorous fish. The taste of trout flesh is widely recognized. Depending on the variety and type of farming, it contains varying amounts of fat, much of it omega-3. Trout farming has been taking place for over 150 years. It was initially aimed at repopulating rivers to meet the needs of anglers, but later on, it was mainly developed for commercial production. Newer farming techniques in earth ponds that operate in a closed circuit are found to be healthy and environmentally friendly. The type of trout produced locally in Canada is the rainbow trout, whereas steelhead (salmon) is mostly imported. 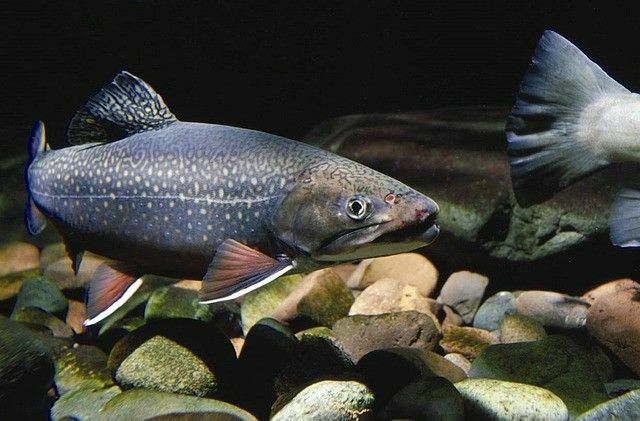 Lake trout caught by angling may contain high levels of mercury and it is advisable not to eat it more than twice a month (450g in total). There is no such restriction for other trout species. Try our recipe for Grilled Trout in a Balsamic Reduction. Originally published in the Journal de Montréal on June 2, 2012. « What does the number on a fruit sticker mean?